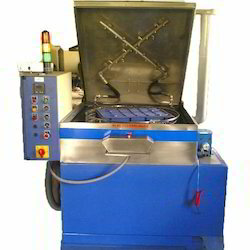 We are one of the renowned manufacturers of quality and durable range of Component Cleaning Machines / Industrial Washing Machines with advanced filtration & oil removal coalescing systems. Provided with air blow with component rotation and multi-tier filtration system, we offer our range at competitive prices. 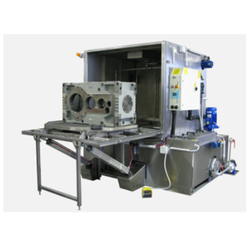 We are engaged in offering aqueous based Industrial Component Cleaning Machines / Industrial Washing Machines for high precision cleaning applications. 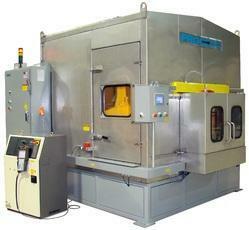 These are Crank Shaft Cabinet Cleaning Machine offered with advanced filtration & oil removal coalescing systems. 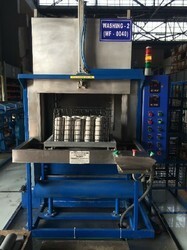 Fabricated by our team of expert professionals, our range of Component Cleaning Machines / Industrial Washing Machines is known to provide high precision cleaning to meet stringent Milli pore requirements and requires no manual intervention for loading and unloading of the stage components. Backed by the team of highly experienced professionals we offer Raotary Table Bin / Tray Cleaning Machine to our esteemed customers. 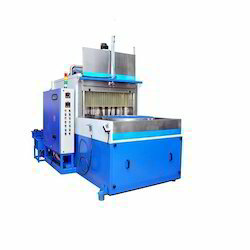 This machine is used in various industries and is highly appreciated for its durability, reliability and optimum results. It is easy to operate and can be customized as per the requirement of the clients. In addition to this, it reduces labor charges and consumes less electricity. 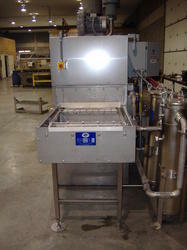 Looking for Industrial Component Cleaning Machines ?